Octavius Charles Beale (1850-1930), by unknown photographer, 1905. 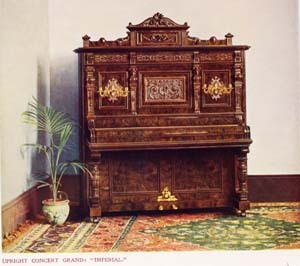 Octavius Charles Beale, piano manufacturer, was born 1850 at Mountmellick, Queen’s County (Leix), Ireland. 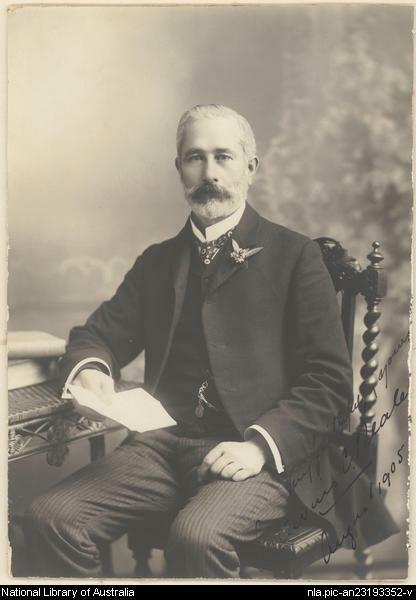 After a brief association with Hugo Wertheim in Melbourne as sewing-machine importers, he moved to Sydney about 1884 and established Beale & Co., Ltd, piano and sewing-machine importers; he was managing director until 1930. In 1893 at Annandale he established a large piano factory. Beale & Co. made all their own components and introduced a revolutionary improvement, the all-iron tuning system, patented in 1902. 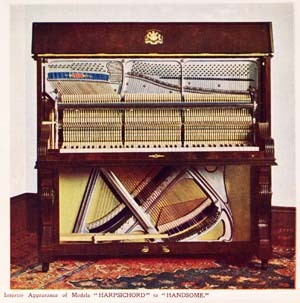 In their pianola (player piano) models, they used Amphionbrand player actions.